Do you track trends in your industry? Savvy business professionals do. So should you. Otherwise, you could find yourself “locked out” of the marketplace with no remedy in sight. A new technology can quickly disrupt an industry, threatening your survival. Look at what’s happening with blockchain technology and financial services. These days I recommend tracking what’s happening in mobile app development. It’s fascinating what’s going on in that industry. It has exploded the last couple of years. The number of mobile app downloads worldwide was 193+ billion in 2017, up from 143+ billion in 2016. You can expect that number to grow to 350+ billion by 2021, according to Statista. Many of the world’s most dynamic brands use mobile apps to their advantage. These apps generate awareness, increase sales, and boost revenues. They also cut costs, increase productivity, and improve business processes. In short, they drive growth no matter your industry or your company. Best of all, mobile apps provide a better customer experience, which is paramount these days. That’s all the more reason why you need to stay abreast of what’s happening in mobility. Slow web page load in mobile apps is the kiss of death. Users don’t want to wait—for anything. AMP improves web page load time in mobile devices. It can increase conversions, boost bounce and click-through rates, and retain visitors. AMP is quite possibly the most critical mobility trend out there. And since it’s from Google, it could impact search engine ranking on mobility devices dramatically. Security is a huge challenge in mobile application development. 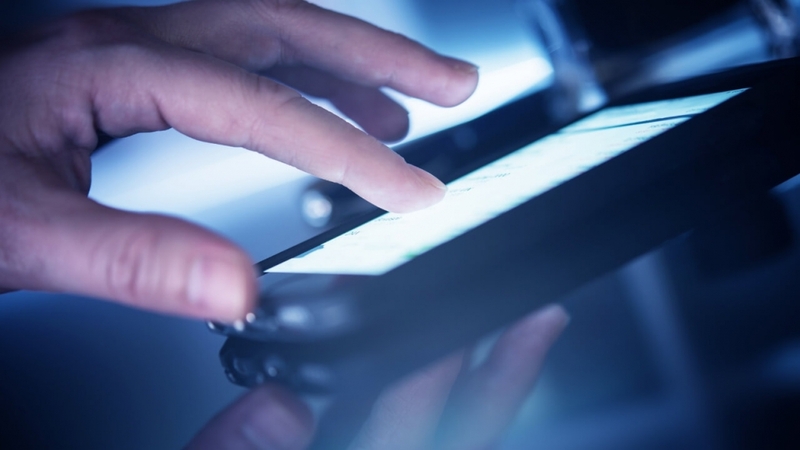 One study by Gartner shows that 75 percent of all mobile apps fail a security test. That’s an open invitation to hackers to exploit security gaps in mobile applications and steal sensitive information from people and companies. If you’re planning to build an app for your business, you need to make security a priority. IoT continues to grow as increasing numbers of people connect via multiple devices. By 2020, investment in IoT will increase to $120 billion. Expect apps designed for the IoT to mature as they integrate with many devices. The growth of IoT is also forcing developers to focus more on the user experience when creating mobile apps for brands. The increased use of multiple mobile devices and the advent of wearable technology (see below) are transforming the mobile app landscape. They’re also forcing businesses to build apps that integrate and sync up with multiple devices. Using the cloud helps developers do that cost-effectively. It lets you quickly generate mobile apps accessible by several devices with the same functions, features, and data. This was among the hottest technologies in consumer electronics last year. Most of the apps in this area focused on healthcare and fitness. This trend will stay hot in the coming years. In fact, you can expect it to transform the textile and fashion industries. Enterprises will also be interested in this technology as a way to boost workers’ productivity, safety, and efficiency. This advancement provides a new way for developers to build apps and for consumers to use them. Already, it’s transforming app sharing and app discovery. It allows Android users to view an Android app and its content without installing the app. What’s more, Android Studios is providing tools that enable you to modularize an app, so users can load only the part of the instant app they need when they need it. These apps act as mediators between consumers and service providers. Growing in popularity, they make life easier by allowing you to order food, rent an apartment, purchase movie tickets, and connect with taxi and laundry services for a small fee. Think Airbnb, Grubhub, Peapod, and Uber. More and more startups are turning to on-demand apps to help them hawk their company’s services. Any of these seven trends could suddenly disrupt your industry, locking you out. So, keep an eye on them. Other mobility trends to watch in 2018 include AI/chatbots, augmented reality (AR), geo-fencing/location-based services, and mobility payments. Don’t get left out in the cold in your industry. Stay abreast of at the latest developments in mobile app development. It will help you anticipate—and plan for— dramatic changes that could take your company to the next level.